UFO SIGHTINGS DAILY: Alien With Breathing Mask Found In Chinese Moon Photos, Jan 2018, Video, UFO Sighting News. 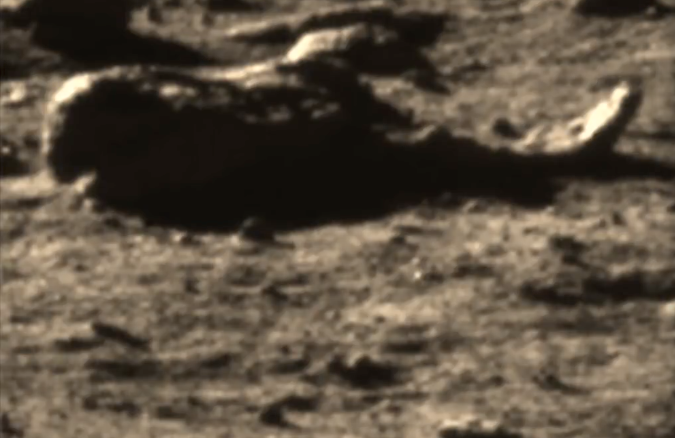 Alien With Breathing Mask Found In Chinese Moon Photos, Jan 2018, Video, UFO Sighting News. Check out this alien statue that has fallen over on the surface of Earths moon. It does have a head with an extended cranium and a breathing tube going into its face in the nose area. I can also easily make out the long legs and long feet. I even wonder if this is an actual alien in a space suite thats been covered by lunar dust and sand over time. This alien was found by Streetcap1 of Youtube, using the Chinese lunar photos.